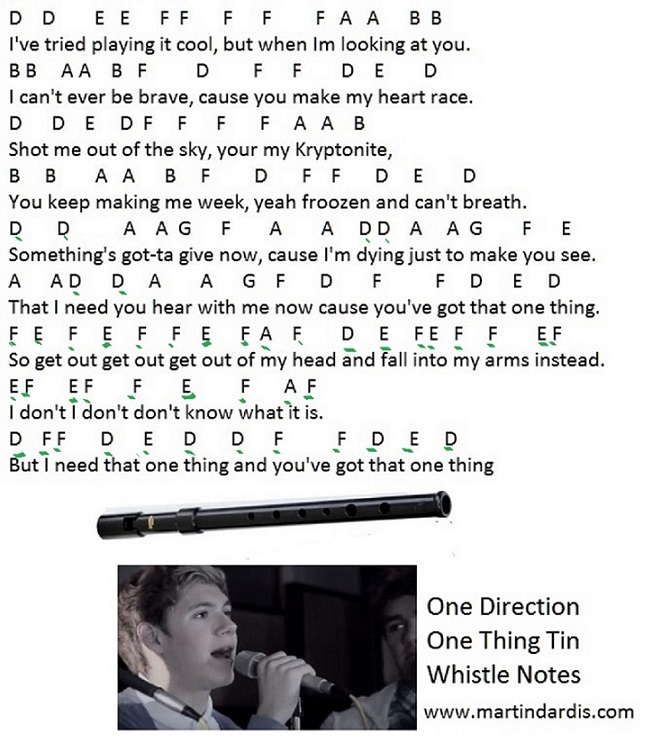 One Thing Tin Whistle Sheet Music Notes By One Direction. Also suitable for the recorder or flute .I have underlined the notes in the higher octave in Green in the version that has letter notes. It's mostly the chorus that goes high. 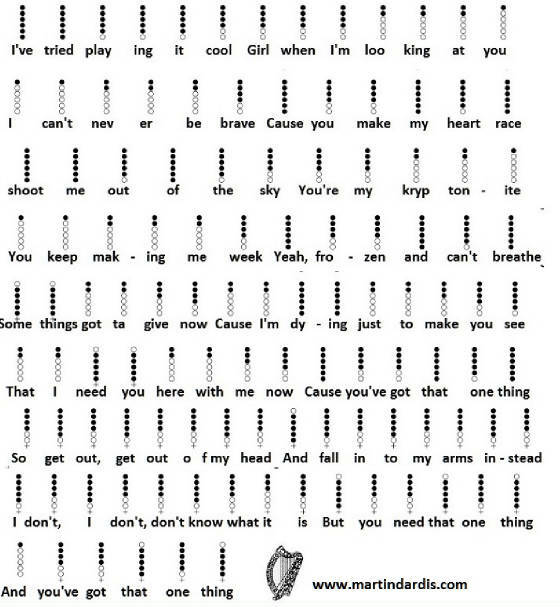 You just repeat this for each verse and chorus.